Silva is hardly winding down at City. The playmaker has had a role in 17 goals in 29 appearances so far this season and though the club will probably allow the former Spain star to do whatever the hell he likes after ten incredible years of service, they will clearly try to tempt him to stick around just a little bit longer. We will miss him. Bournemouth’s front three has been one of the Premier League’s most impressive units so far this season and despite N’Golo Kante towering two inches over Fraser, the 24-year-old has played a huge role in that success. Only Eden Hazard has more assists than the smallest player in the league. Callum Wilson has hogged most of the headlines this term, especially when a £75million price tag was placed upon the England striker. If Bournemouth aren’t careful, they face losing a player who has been equally as important for a mere fraction of the figures being discussed around his team-mate. Eddie Howe is said to recognise that concern and perhaps the Cherries are content not to rush given the lack of speculation around Fraser. But the interest will certainly pick up if the Scotland international continues his form while being allowed to enter the final year of his deal. Pep’s first signing for City has attracted interest from elsewhere. Barcelona are known to be admirers of the former Borussia Dortmund star, who earns around £90,000 a week at the Etihad, but Gundogan is said to be quite content and willing to re-sign – if the terms are to his taste. If not, Barca, AC Milan and a host of clubs back in Germany are ready to give him what he wants. The Tottenham defender’s current contract is a complicated agreement. It was announced over the festive period that Spurs were taking up the option they had to extend his original four-year deal – signed when he joined the club from Atletico Madrid in 2015 – by an additional 12 months. Triggering that extension, however, means Spurs must accept any offer of £25million or more for the Belgian should it arrive at least a fortnight before the end of the next transfer window. So Spurs stand to lose a centre-back that was valued at around £50million for half of that figure. That is better than nothing, which would have been the case had they not taken up the option, but if Mauricio Pochettino wants to keep Alderweireld, then Daniel Levy has work to do. Previous discussions reportedly ended with the two parties around £50,000 a week apart, with Spurs offering £130,000. That would represent a 160 per cent pay rise but the player’s representatives were looking for closer to £180,000 a week, which is Harry Kane money. The Spurs defender’s contract is slightly more straightforward than Alderweireld’s but the fact that Vertonghen will be 33 by the time his current deal expires perhaps makes the issue of renewal a little more complicated. 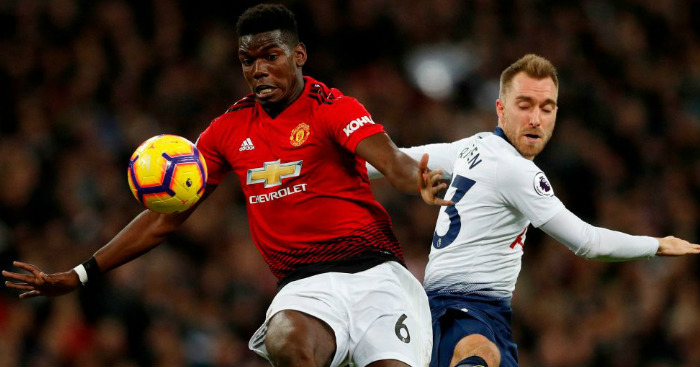 The former Ajax star showed his importance to Spurs on Saturday with an impressive performance at left-back, a position he admits he doesn’t particularly enjoy. The England Under-21 star hasn’t set the Premier League alight during his debut year in the top flight but, because he has been around the first team for over two years already, it is easy to forget that Sessegnon is still only 18. The teenager’s achievements won’t have slipped the memories of the division’s big-hitters, though, and nor will it have escaped them that Sessegnon has scored a couple and laid on five goals in 22 appearances so far this term. Fulham were willing to allow Sessegnon to focus on his football prior to the start of the season so they must have been comfortable with the prospect of reaching the New Year without a new agreement. But as the starlet approaches the final year of his current terms, the Cottagers perhaps need to increase their urgency. Whether or not they avoid relegation will presumably shape the tone of the discussions. Chelsea might be approaching the time when they need to consider the replacement of Willian and Pedro, but it is hard to see the recruitment of Christian Pulisic as anything other than a pre-emptive attempt to replace Hazard. 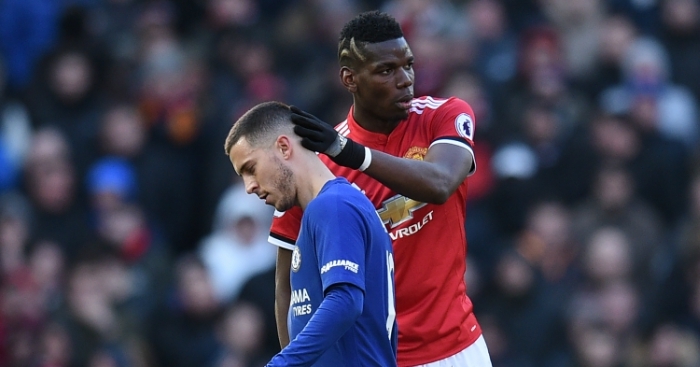 It seemed most likely that Hazard would leave last summer but Chelsea apparently convinced the Belgium star to give them one more year. Hazard – the second best player in 2018 – has made little secret of his desire to play in Spain and the coming transfer window seems like the most appropriate time to take on that challenge at Real Madrid. 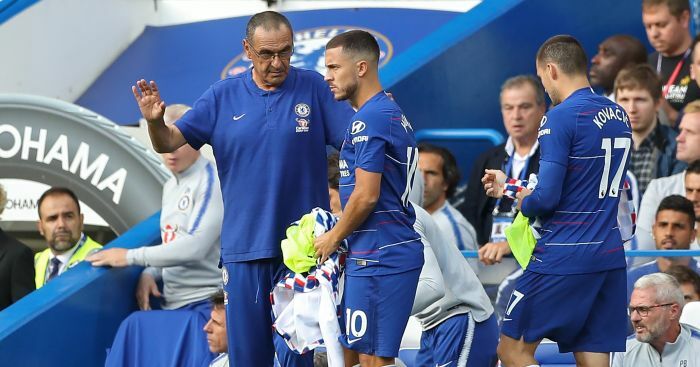 Chelsea recognise they are almost powerless, with Sarri admitting last month that the club is ready to agree new terms immediately, but it all depends on Hazard’s whims. So it seems most likely that he has signed his last contract at Stamford Bridge. Chelsea stalled for time in January when Bayern Munich were so keen to take one of their best youngsters off their hands in return for £35million. But the Blues will need to take action during the coming summer, if not before, to avoid the prospect of losing Hudson-Odoi for next to nothing. Hudson-Odoi was apparently keen to make the move to Bayern and presuming they retain their interest – why wouldn’t they? – then the 18-year-old holds most of the cards. 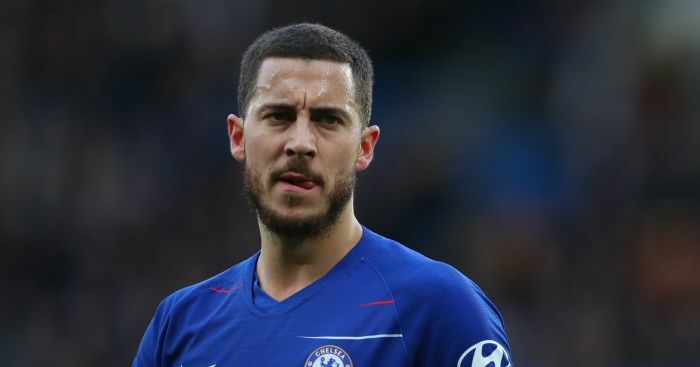 If he digs in his heels and refuses to put his name to a contract reportedly worth £80,000 a week to stay, then Chelsea will be under extreme pressure to sell. But Sarri has between now and May to meet the teenager’s playing time expectations, while balancing his needs in line with the team. Picking him in a Premier League XI would be a start, with Hudson-Odoi having only managed 101 minutes off the bench since his debut a year and a week ago. Now Mauricio Pochettino has been photographed with his arm around Kane and Dele Alli after pen had been applied to paper, there is no-one Tottenham fans would more like to see the manager draped over than Eriksen. The fact Pochettino hasn’t yet had that opportunity is said to be starting to worry the Spurs hierarchy. Eriksen cannot be blamed for taking his time. The Denmark star turns 27 on Valentine’s Day and this next deal is likely to take him through his peak years. With Real Madrid and Barcelona both linked, it makes perfect sense for Eriksen to sit on Spurs’ offer, but the club will need an answer by the summer. 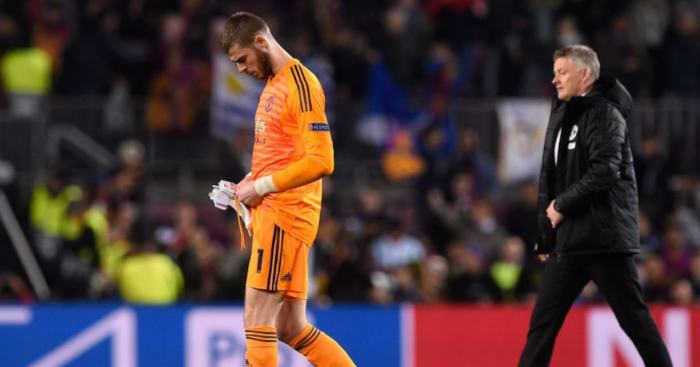 This should have been a straightforward negotiation for Ed Woodward and his crew, with De Gea said to be keen to stay and United desperate for him to do the same – whatever the identity of the new manager. 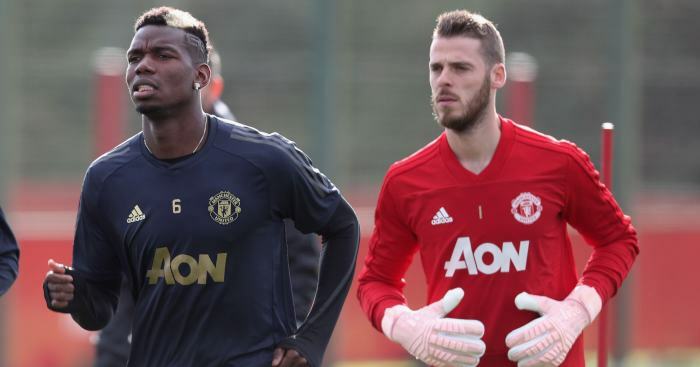 But Woodward’s previous generosity could cost him, with the Spain goalkeeper expecting, not unreasonably, a similar deal to the one handed to Alexis Sanchez when he moved to Old Trafford a year ago. Woodward complained that other clubs had inflated the market before the start of the season but his own extravagance looks likely to cost him this time. Because the alternative doesn’t bear thinking about. 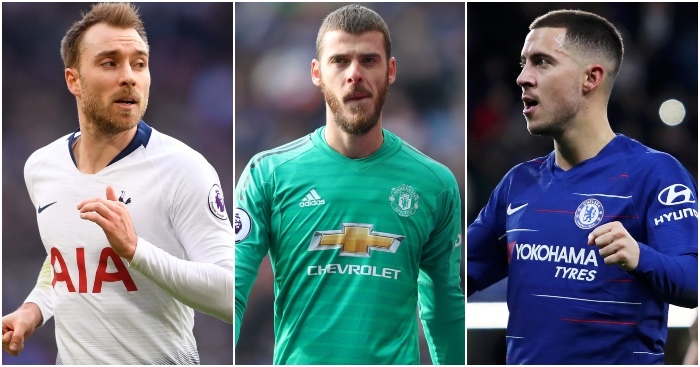 To replace De Gea adequately, United would most likely have to spend a fee similar to what Liverpool, Chelsea and Real Madrid forked out last year and with arguably the world’s best keeper already guarding their goal, Woodward may as well just give the money to big Dave. "On his day he can be the world's best immediately," says Jurgen Klopp. So how will Liverpool stop him?